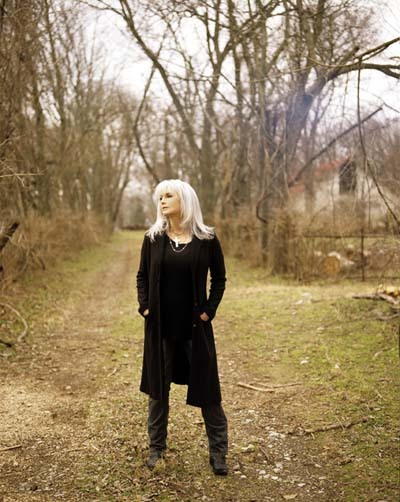 It helps to be born gorgeous, which Emmylou clearly was (although she is suspiciously wrinkle free for a 62 year-old) but we so totally love the way she rocks grey hair. She seems to have gone from grey to nearly white in the last couple of years and breaks all the rules by wearing it long but still manages to look wonderful. The Women’s Room loves the rock-chick look and is delighted to see that there is no reason for us to give up on it just because we’re over 40. If it’s good enough for Emmylou then it’s cool with us.